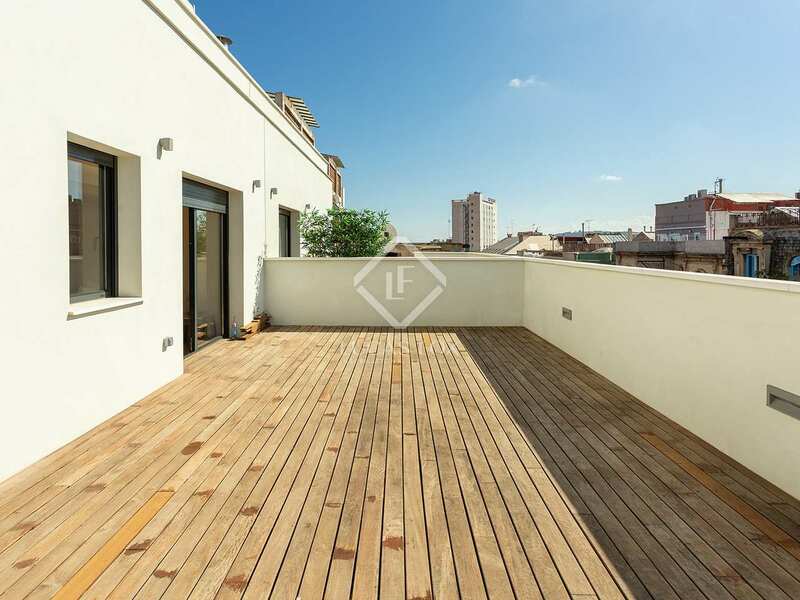 This property is part of the Muntaner Galvany Apartments. 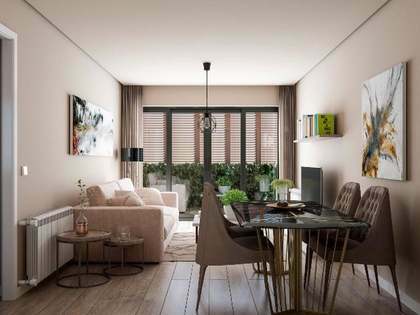 New development offering high-end 2-3 bedroom apartments and penthouses in an excellent location on Carrer Muntaner. 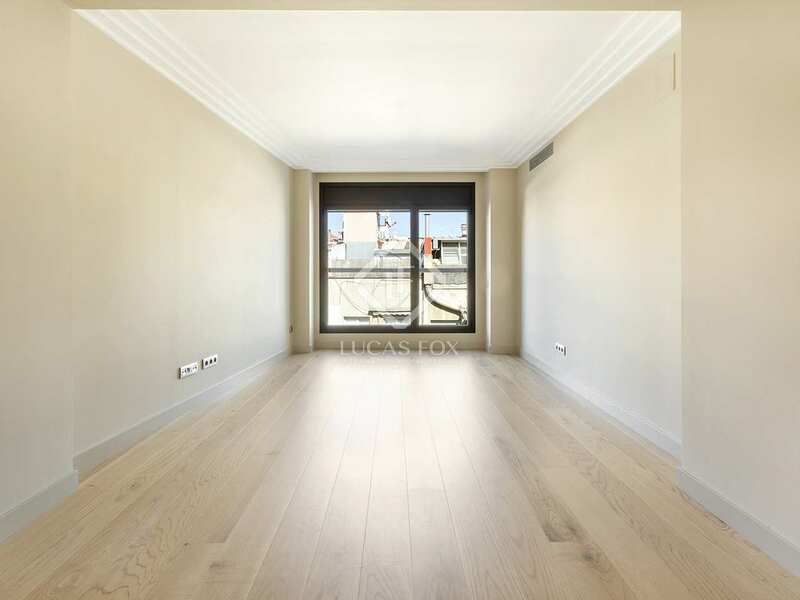 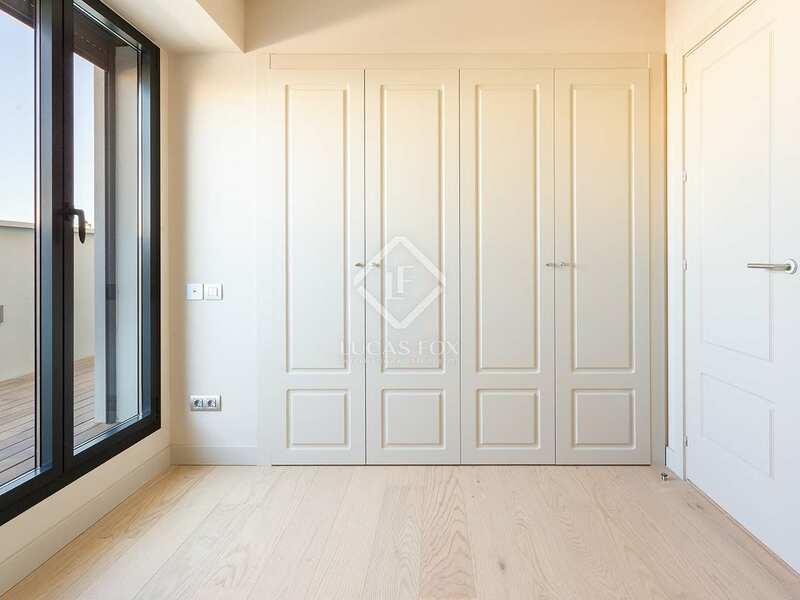 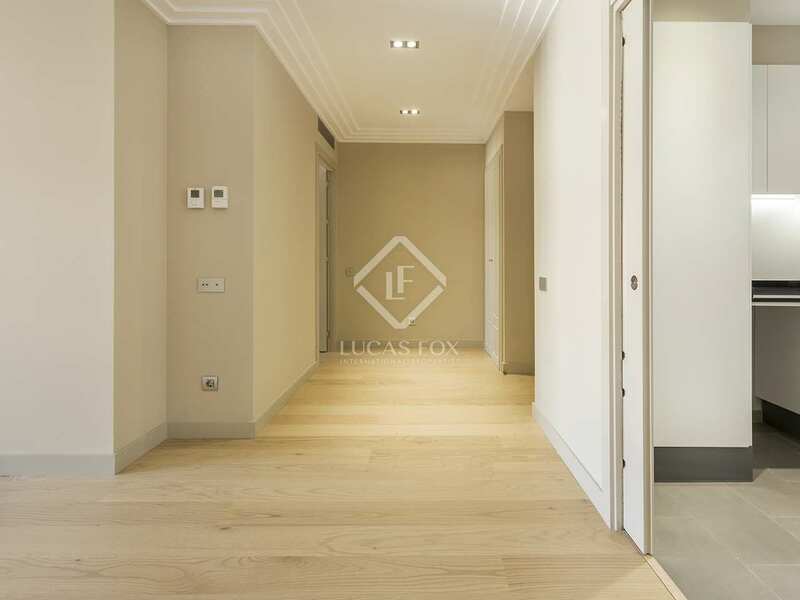 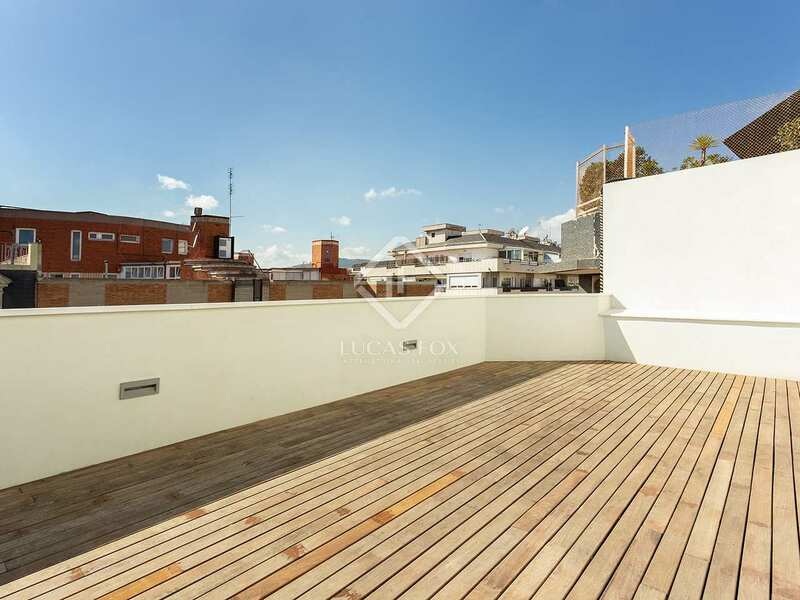 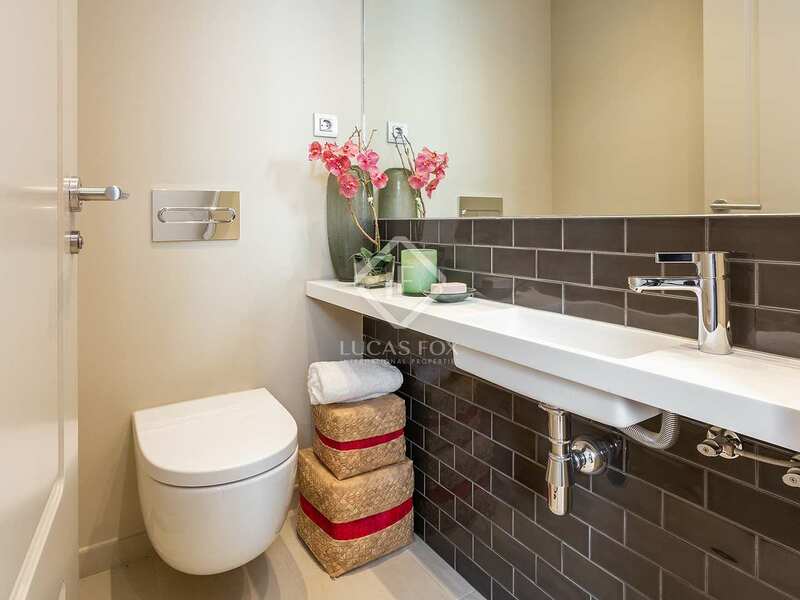 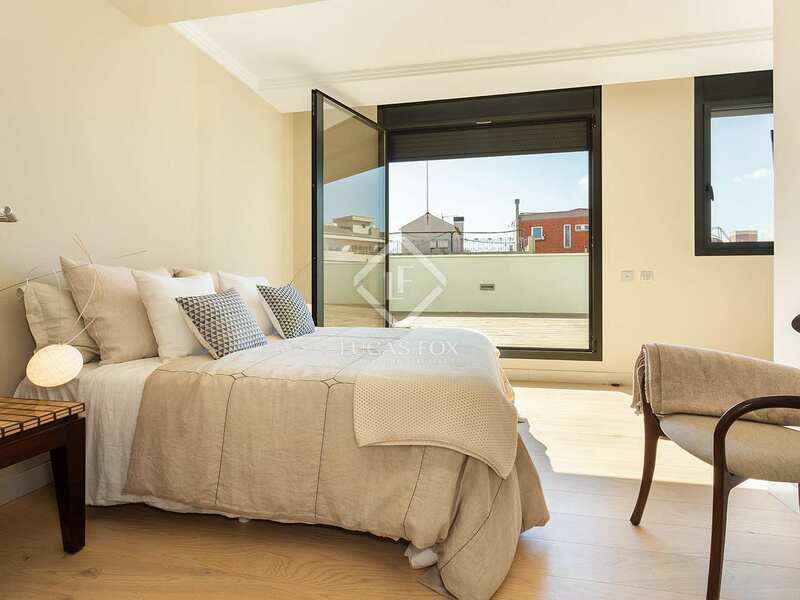 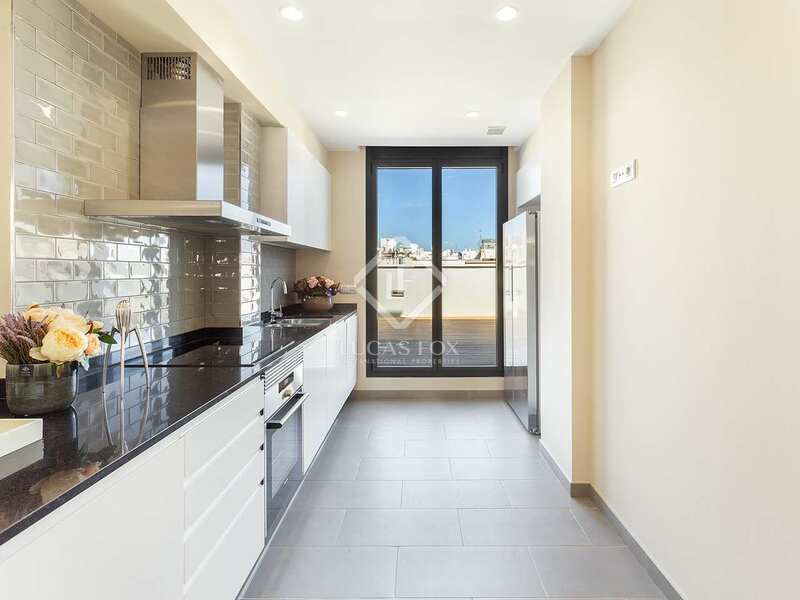 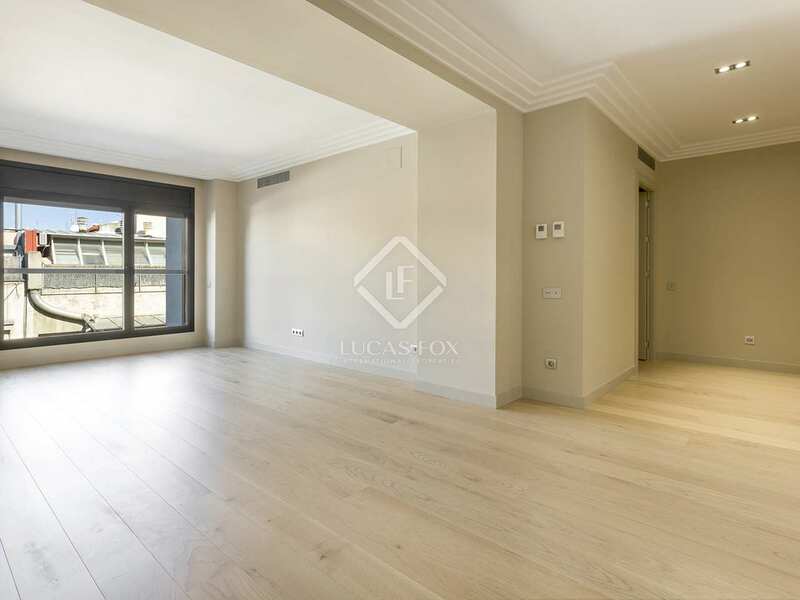 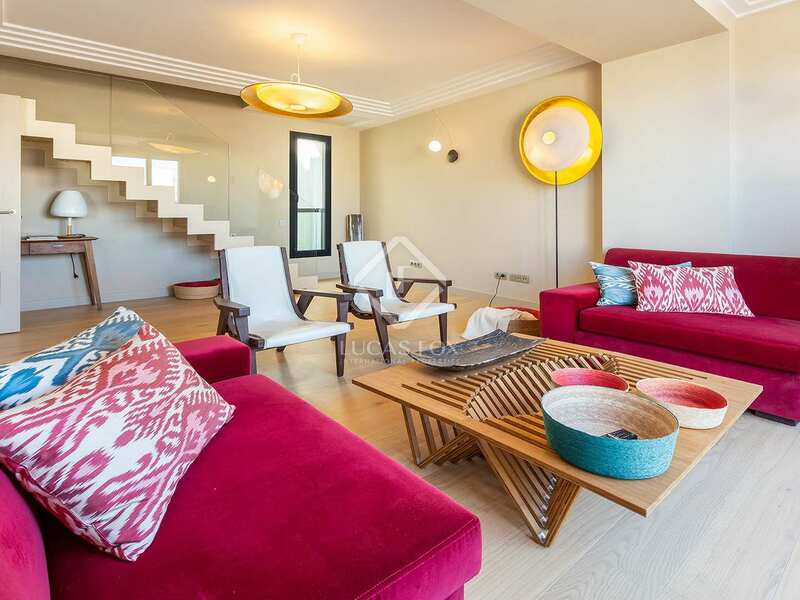 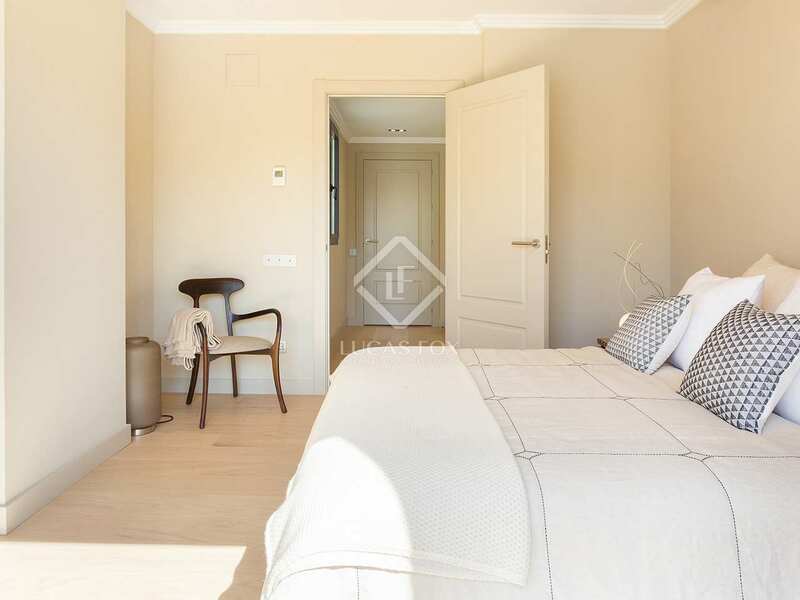 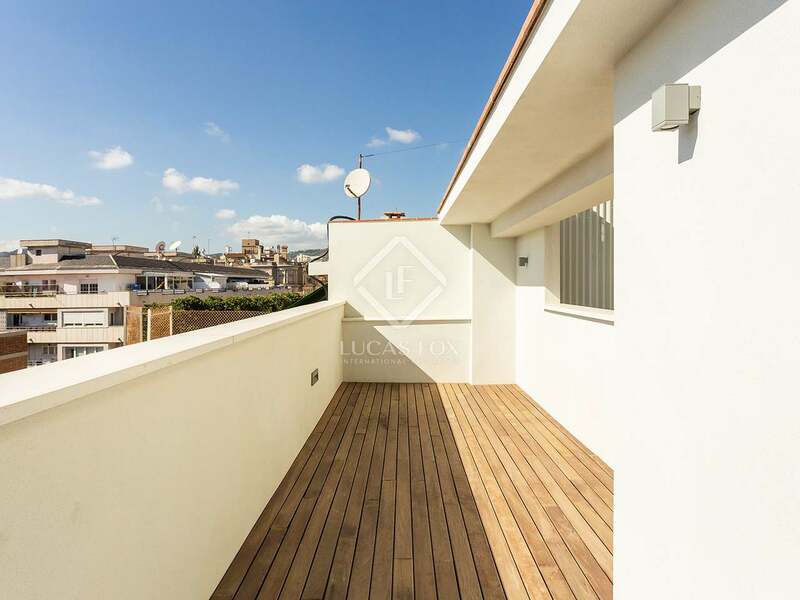 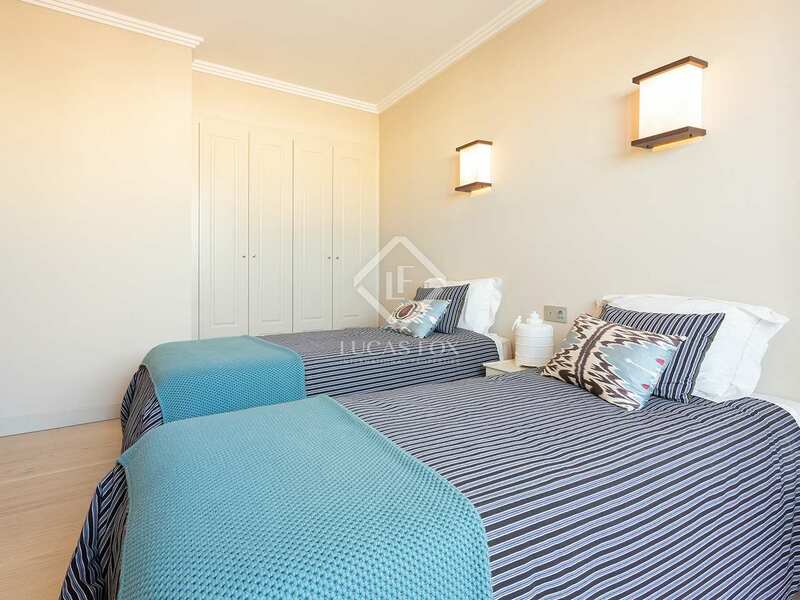 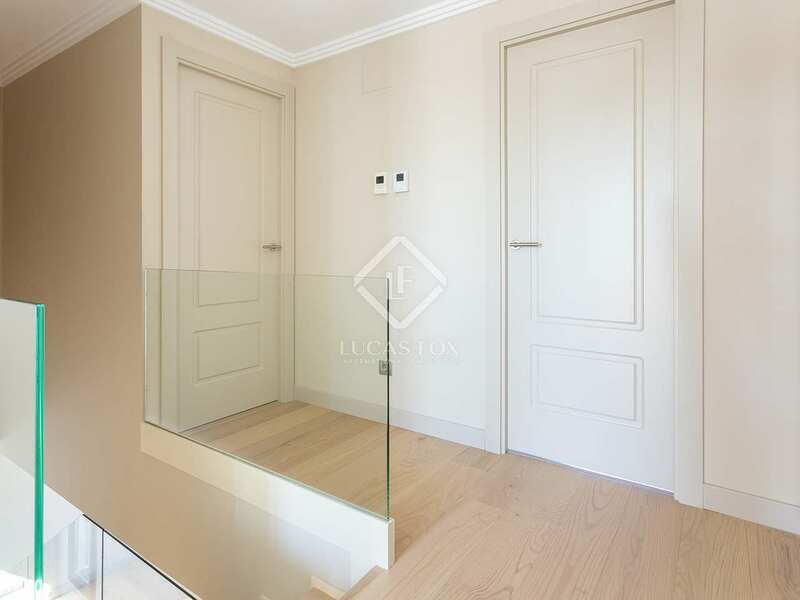 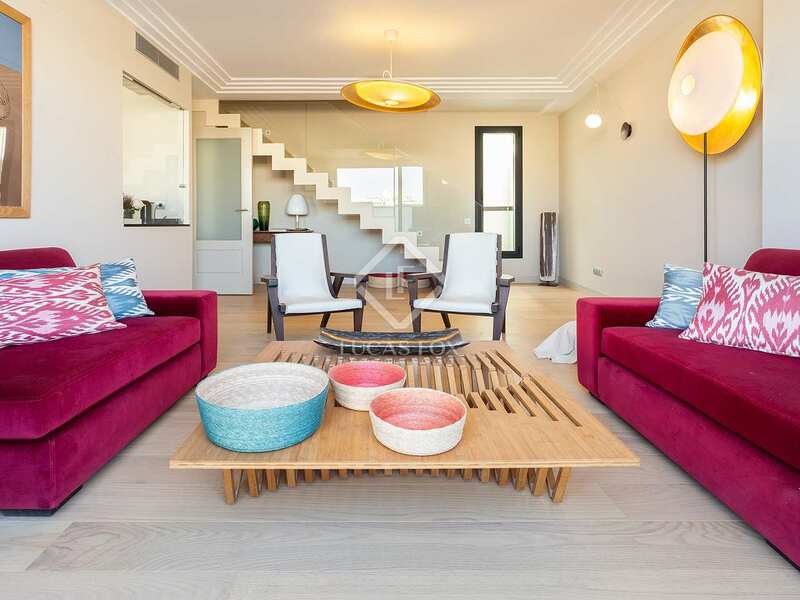 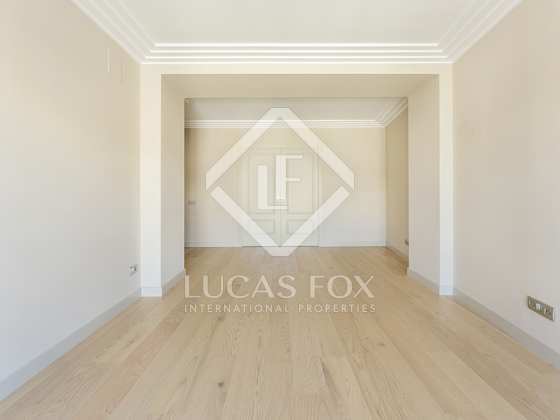 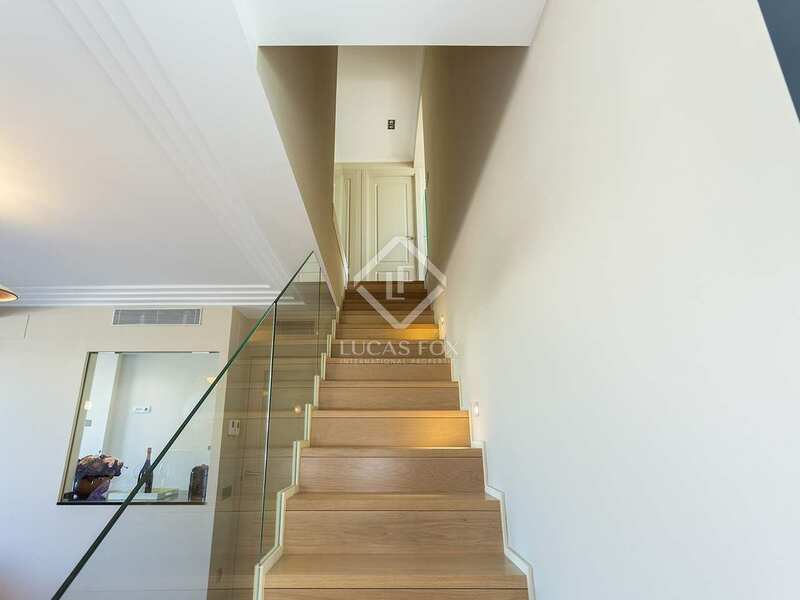 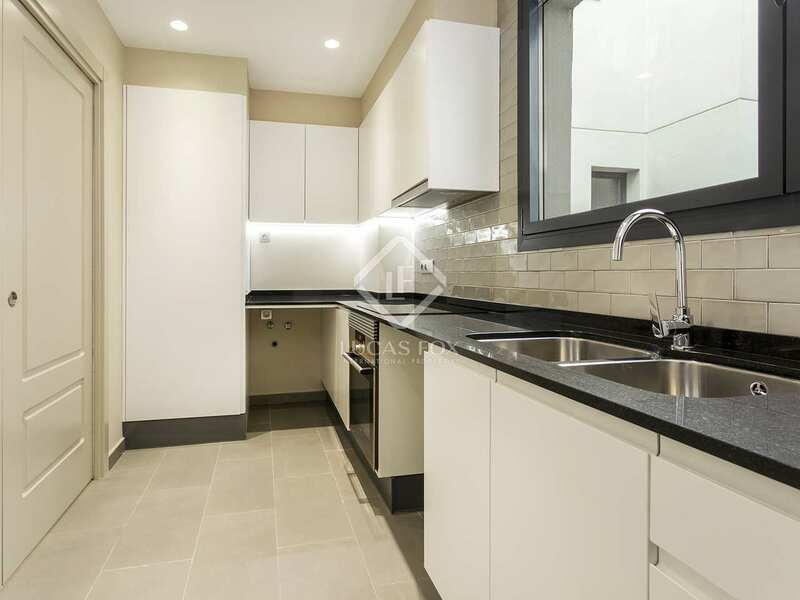 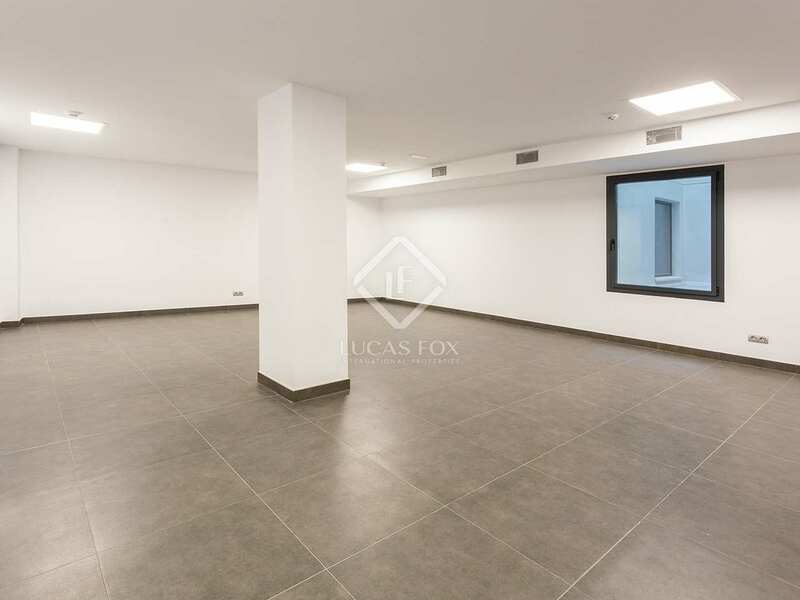 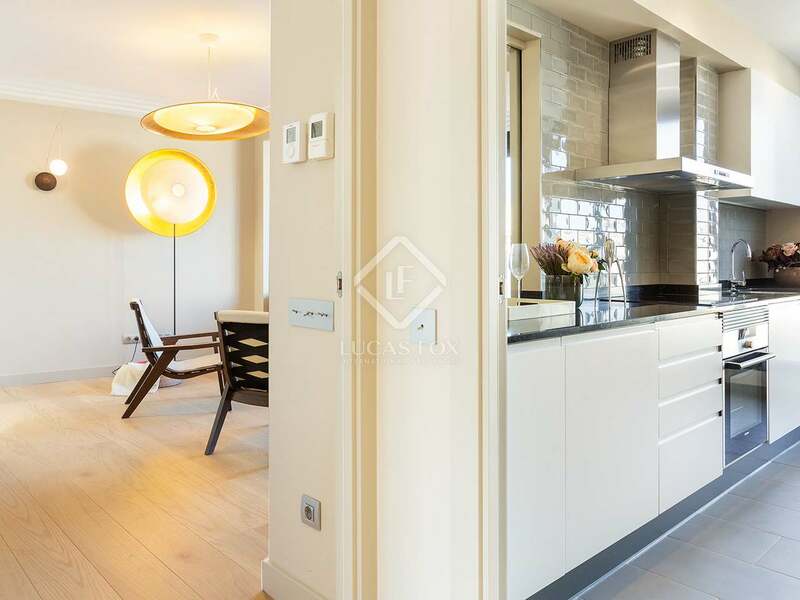 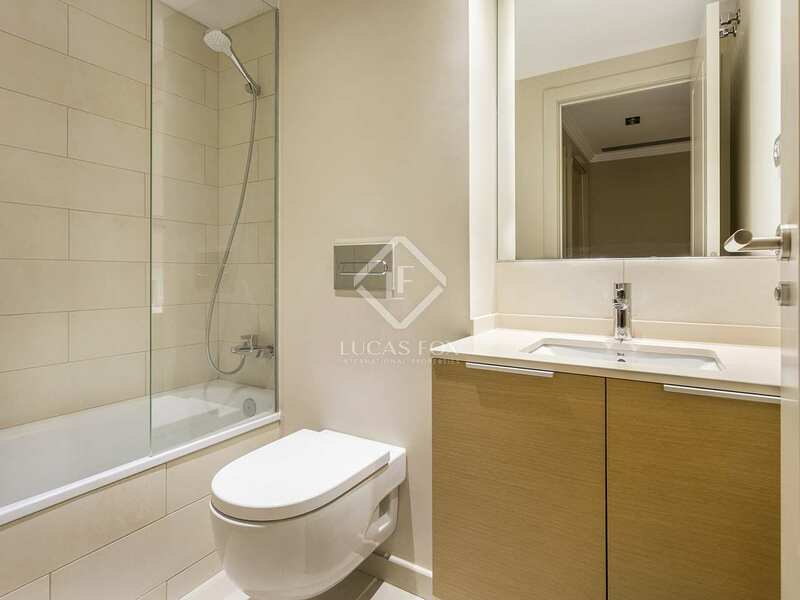 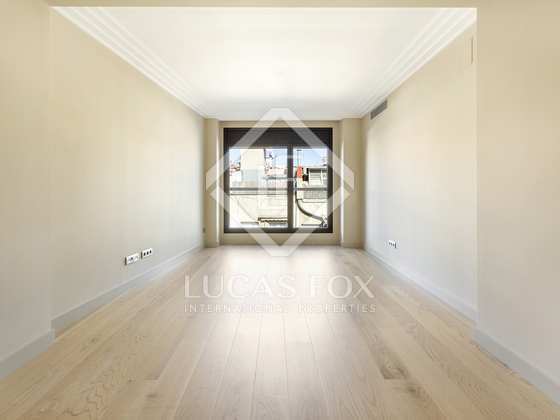 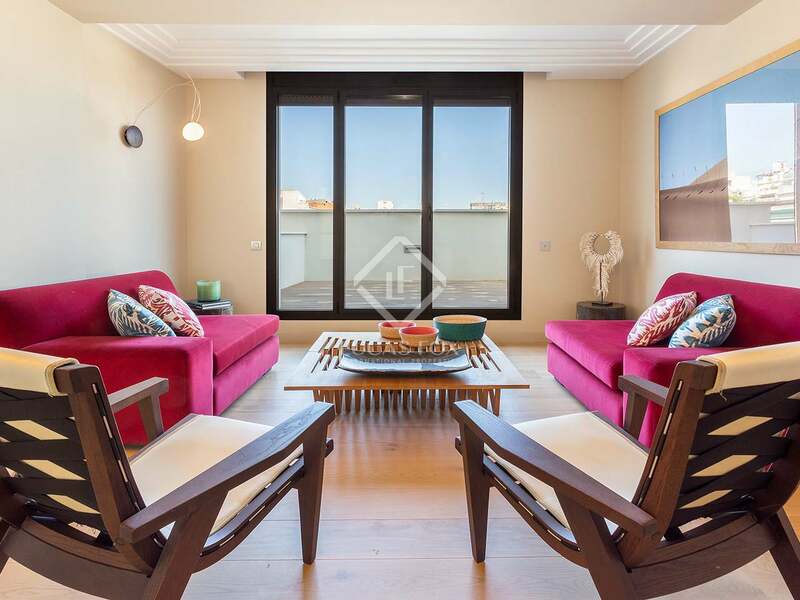 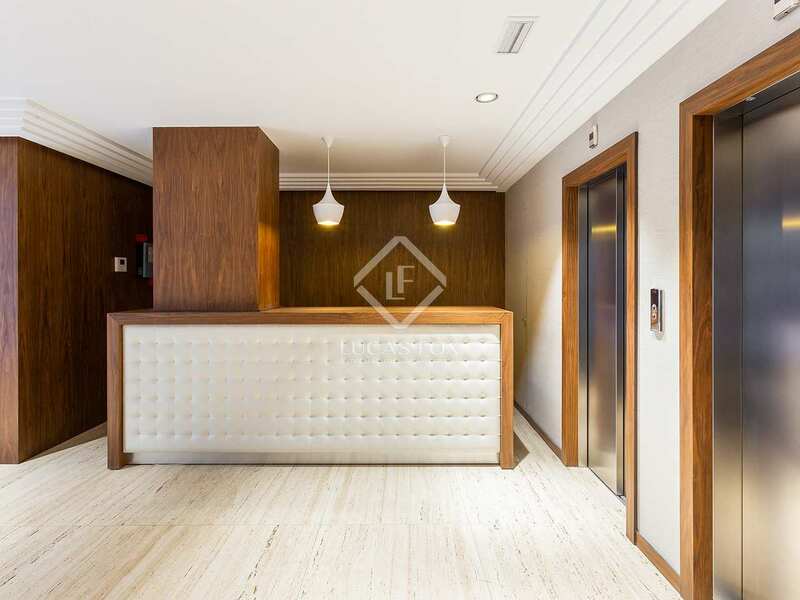 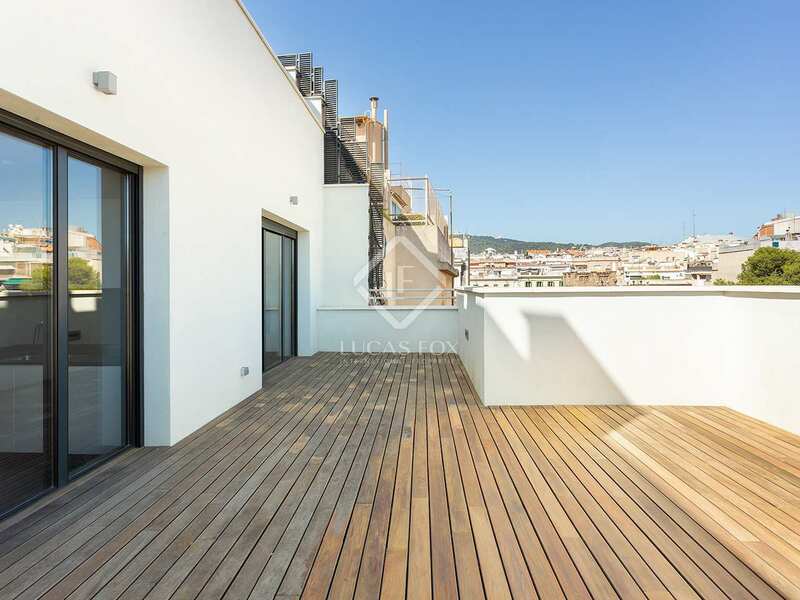 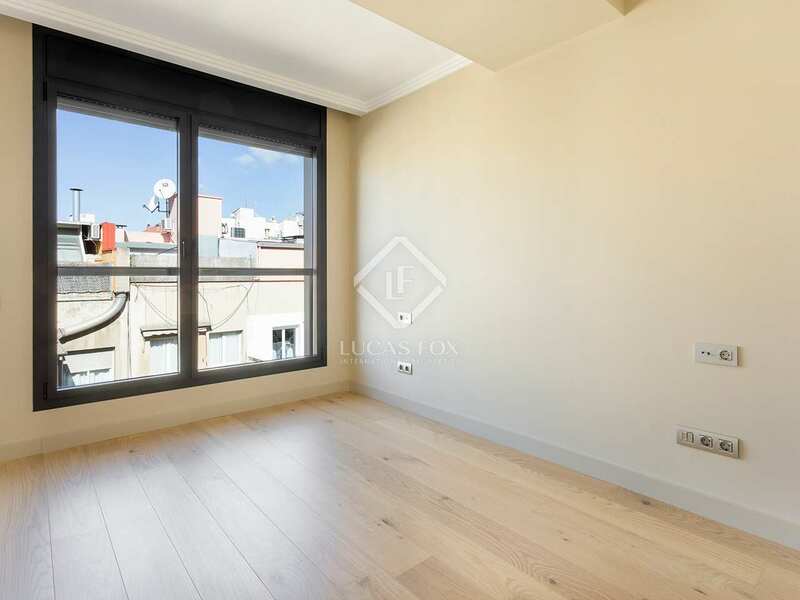 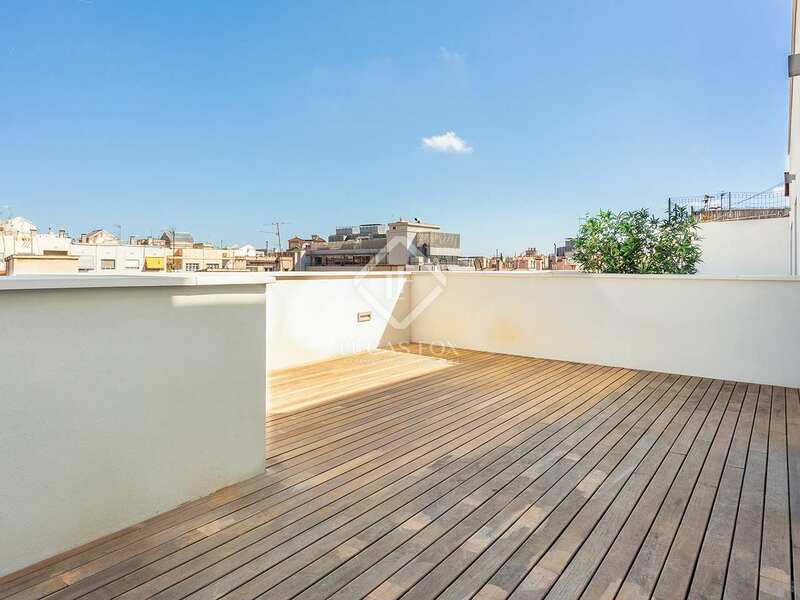 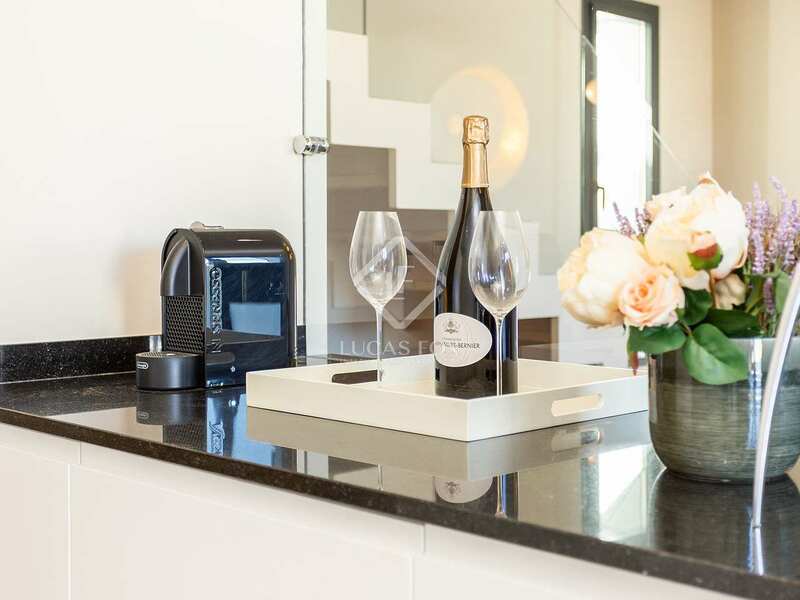 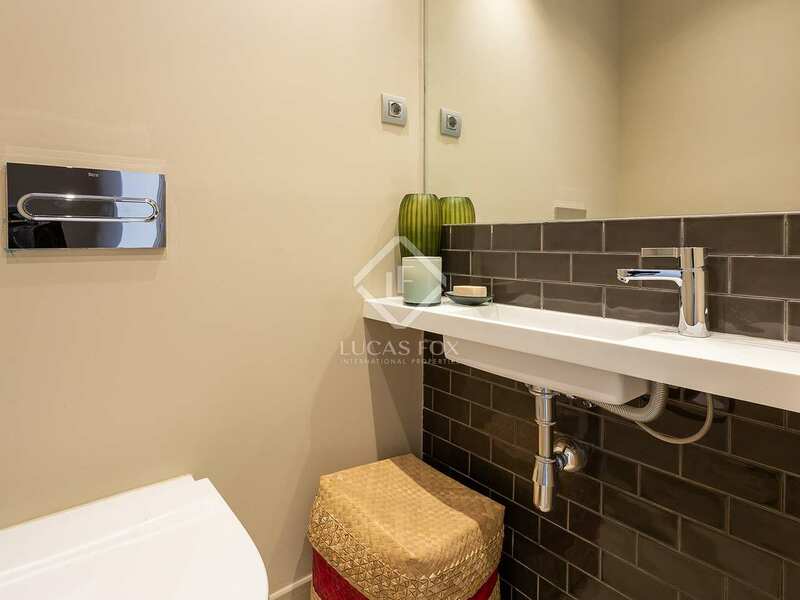 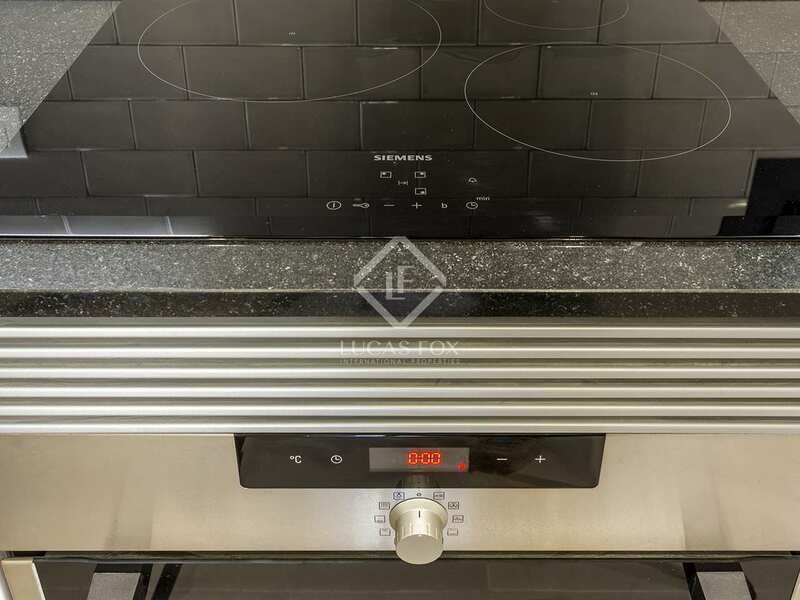 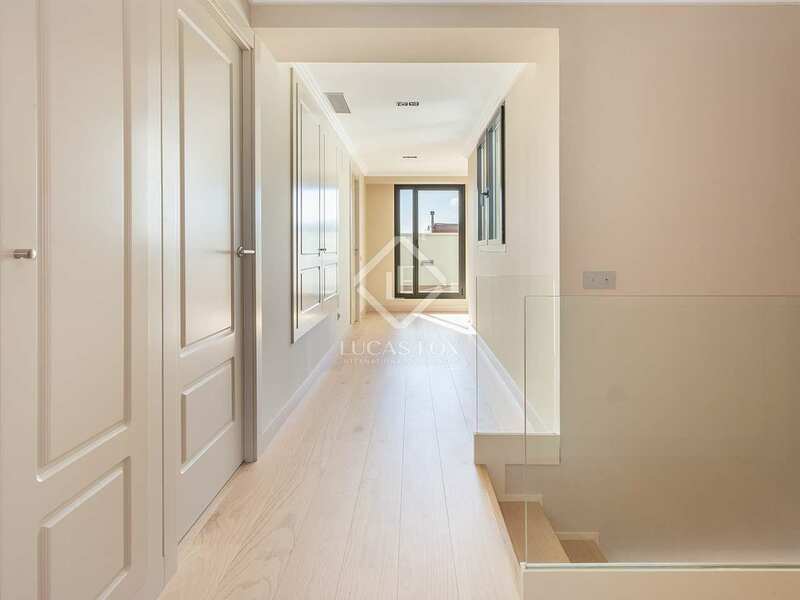 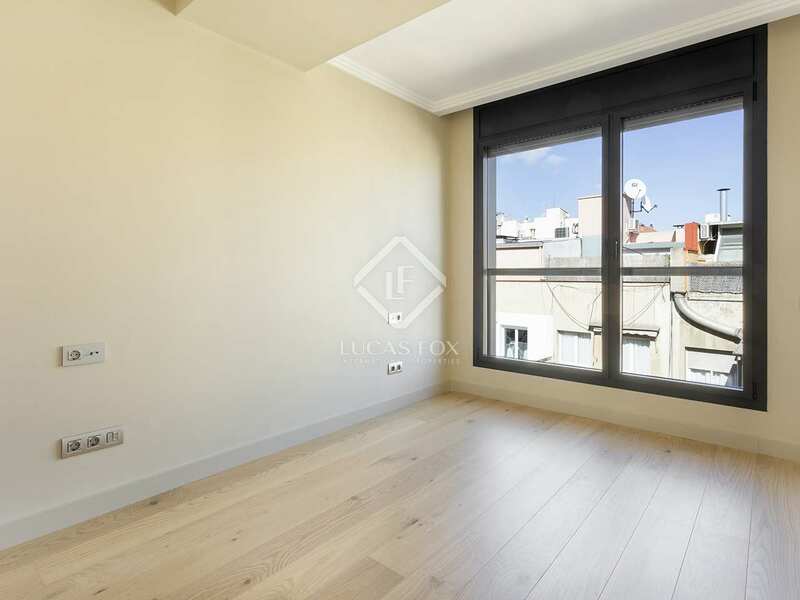 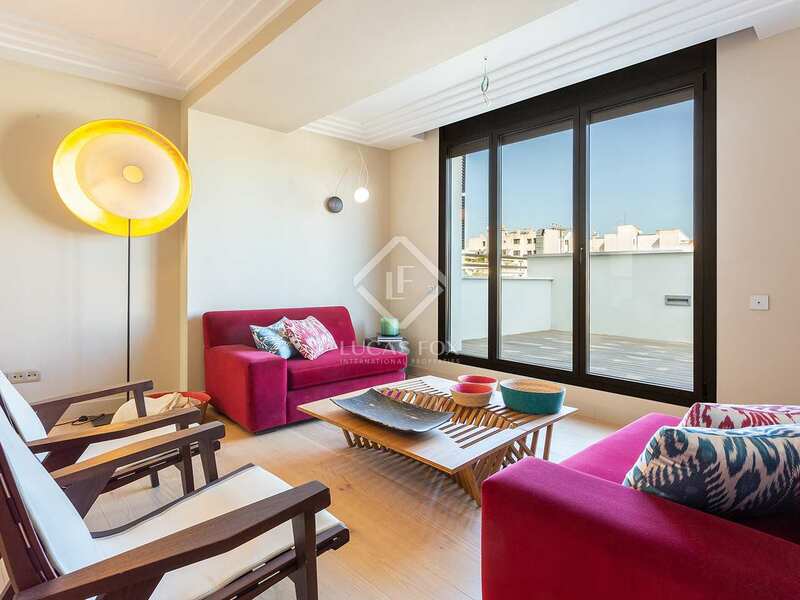 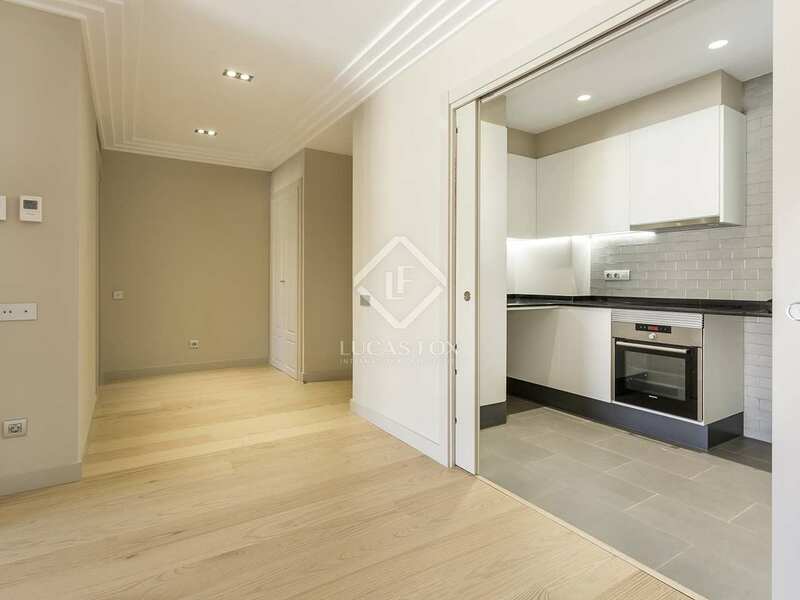 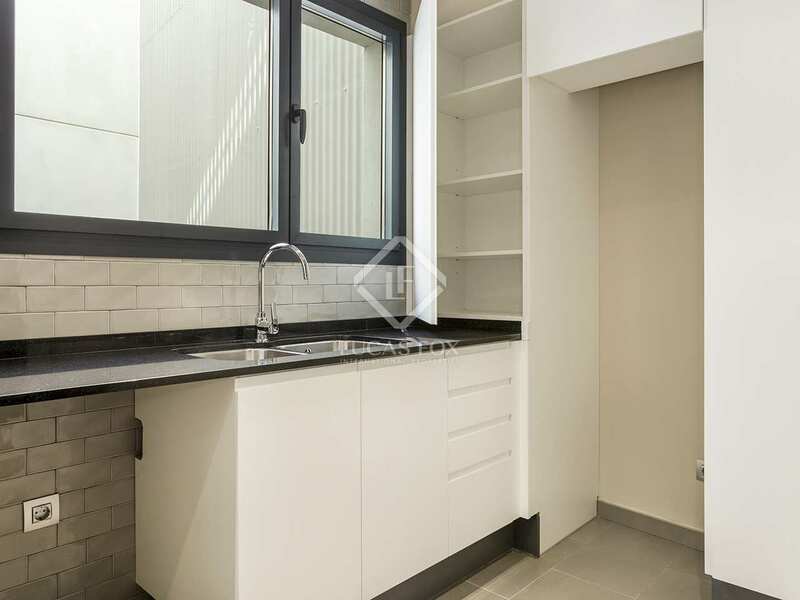 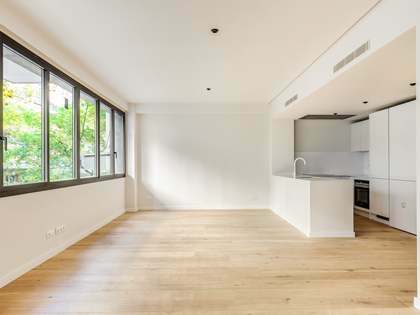 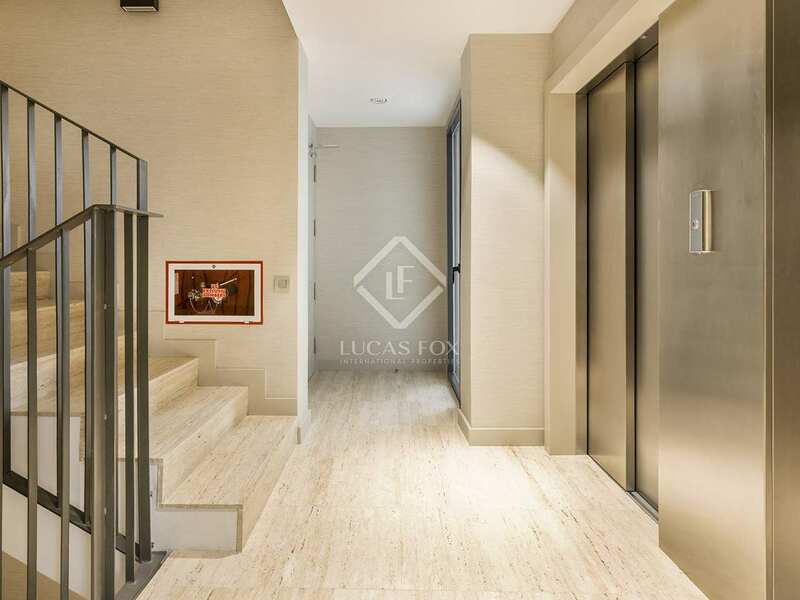 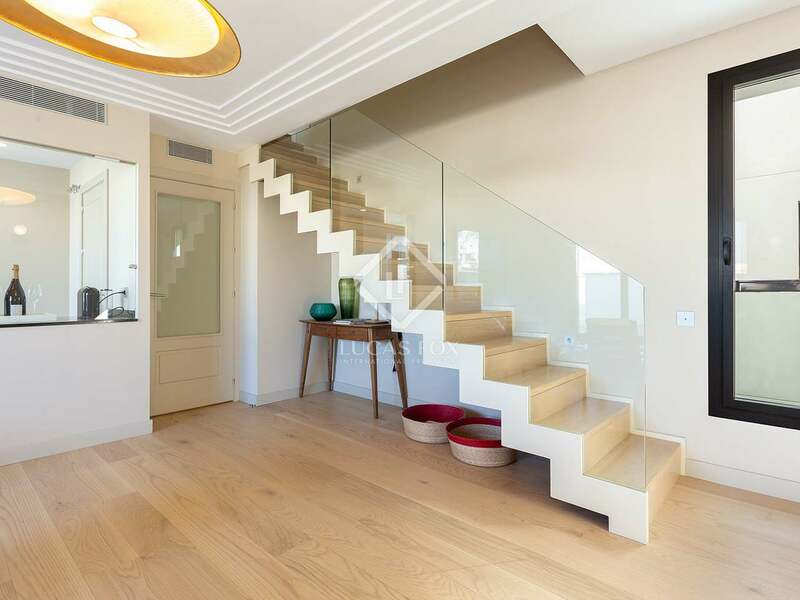 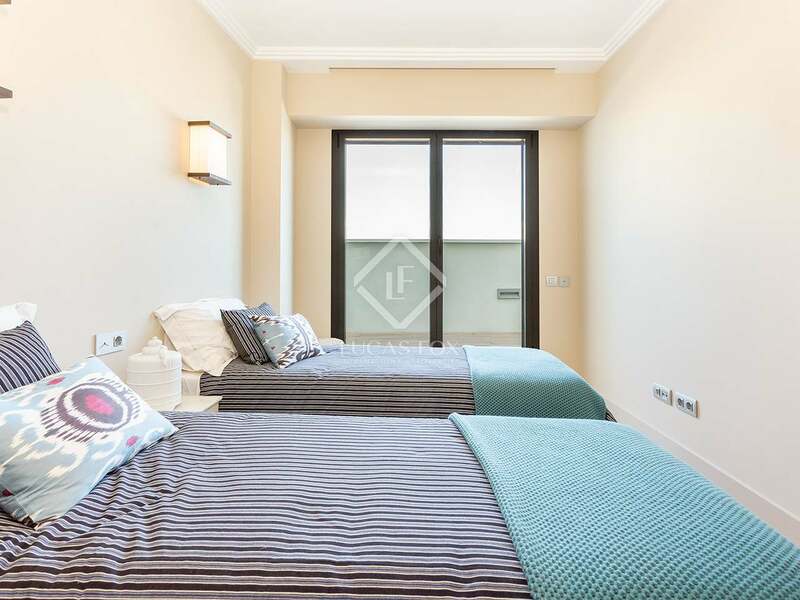 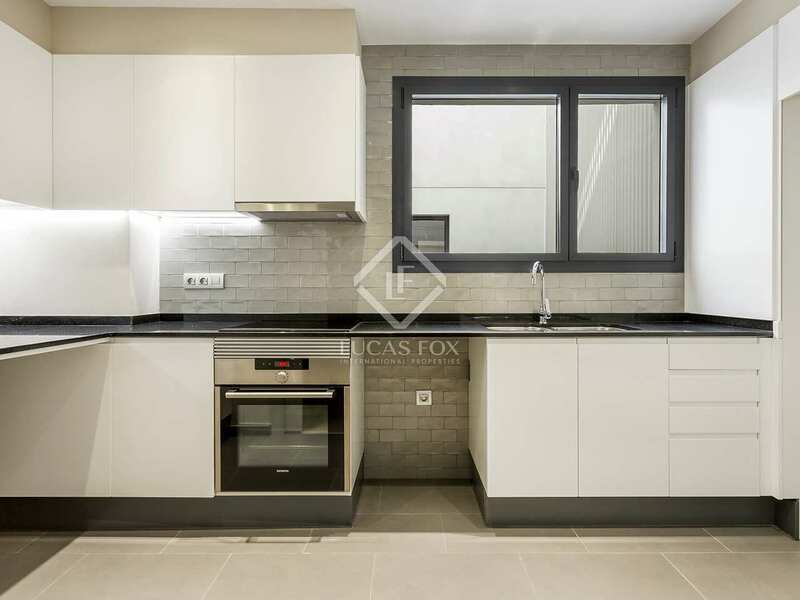 High-end new 2-bedroom apartment in an excellent location on Carrer Muntaner. 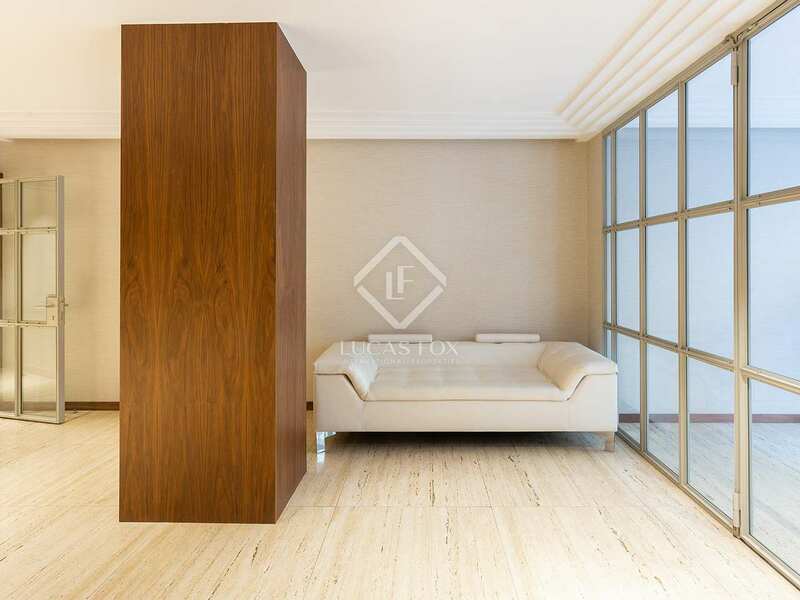 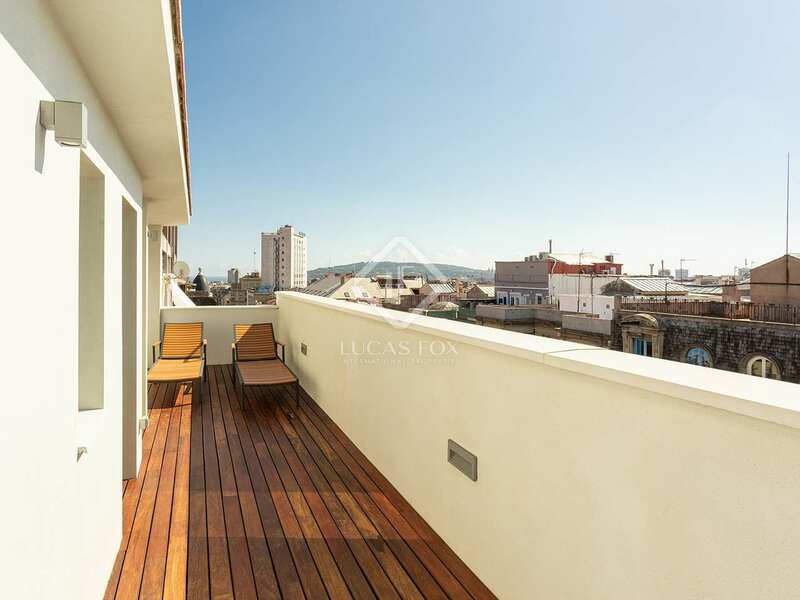 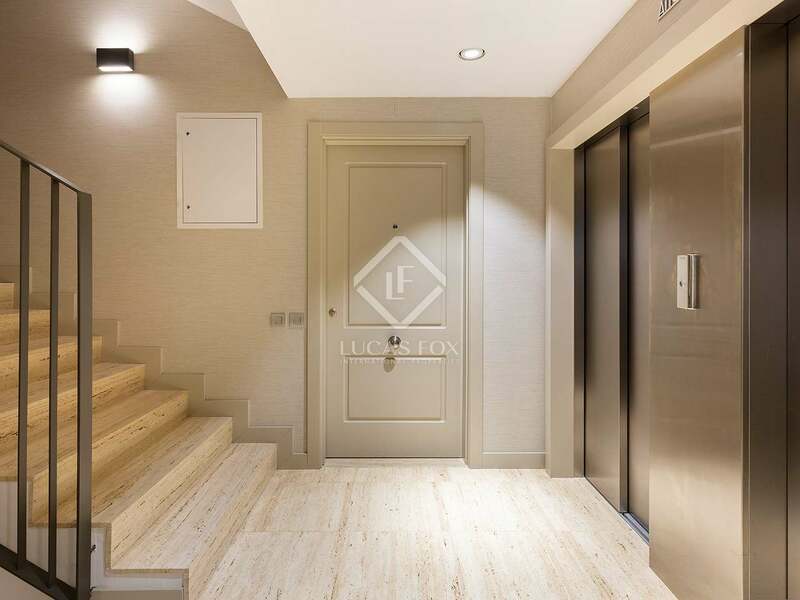 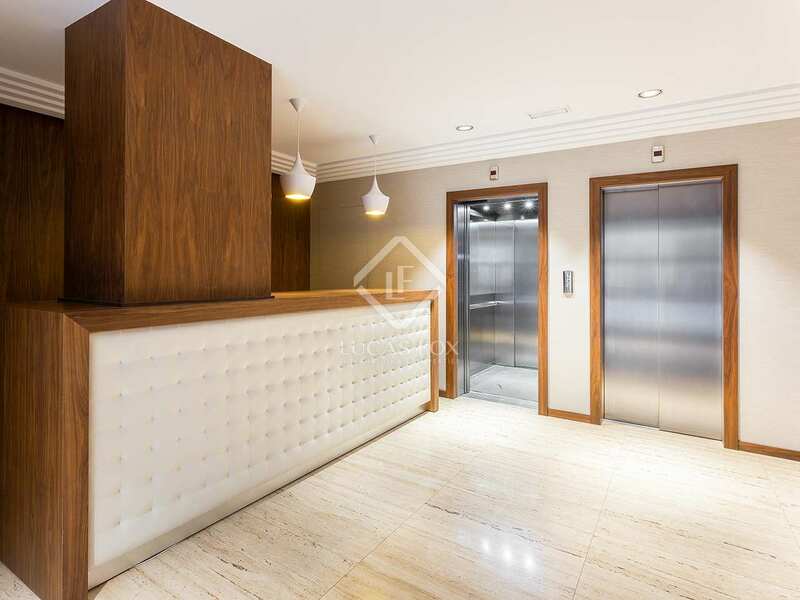 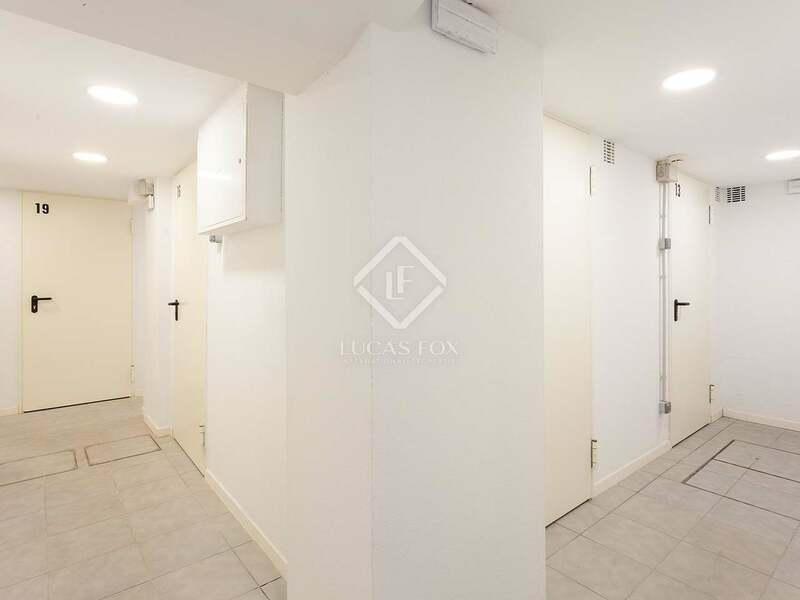 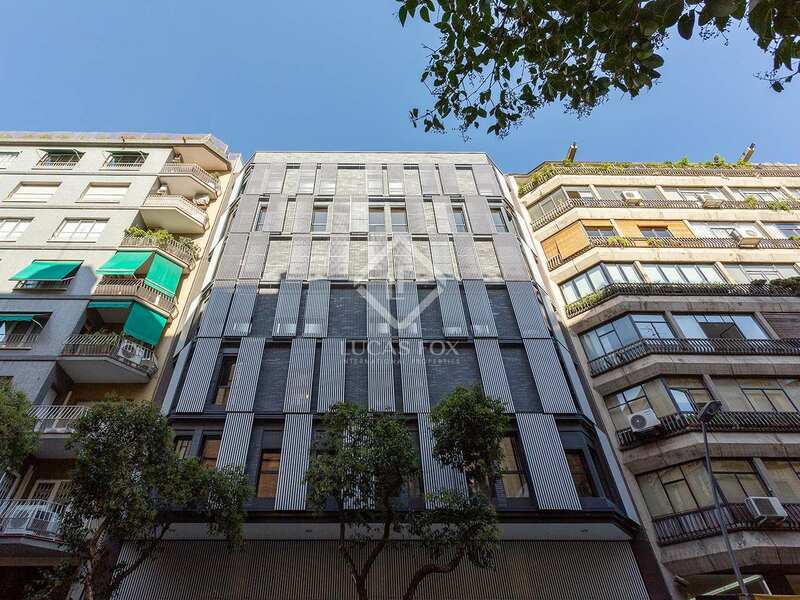 This particular property is located on the first floor of the building and measures 86 m². 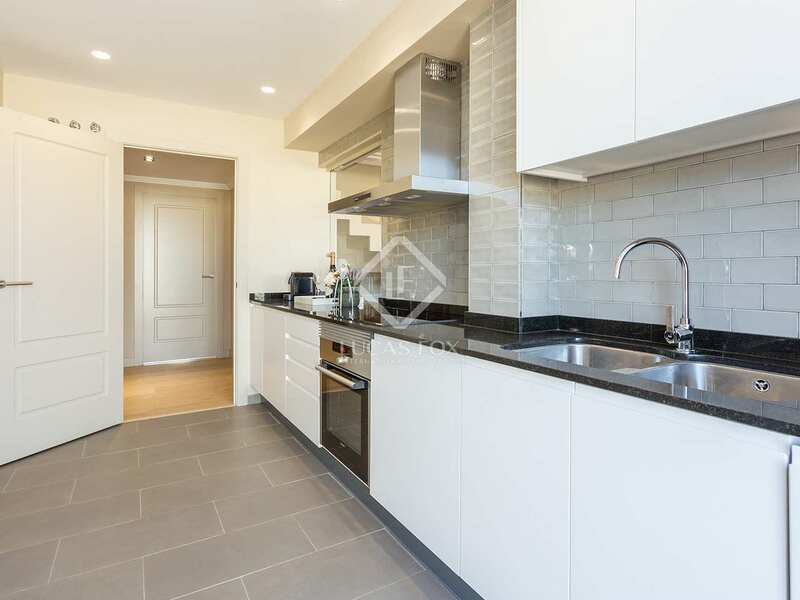 On entering we find the wonderful, bright open plan living, dining and fully fitted kitchen space. 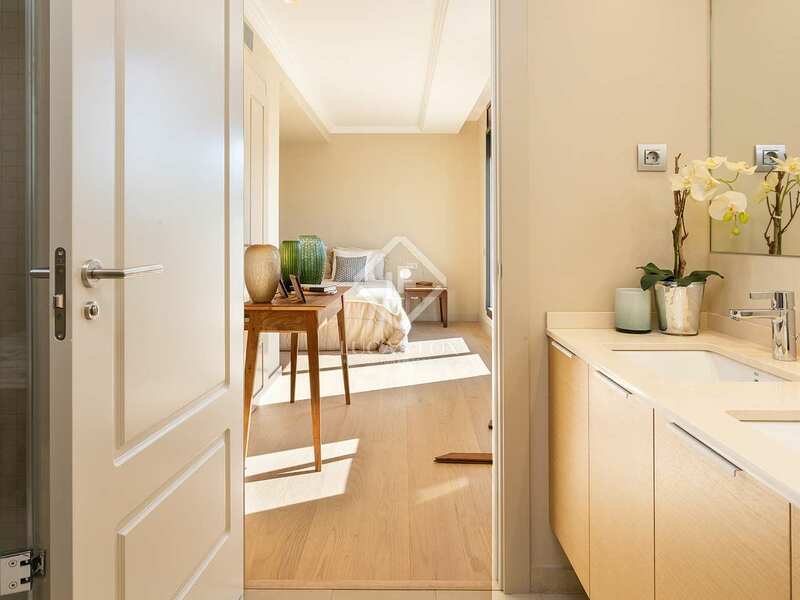 A hall leads us to a bathroom, the first bedroom and the master bedroom with its ensuite bathroom. 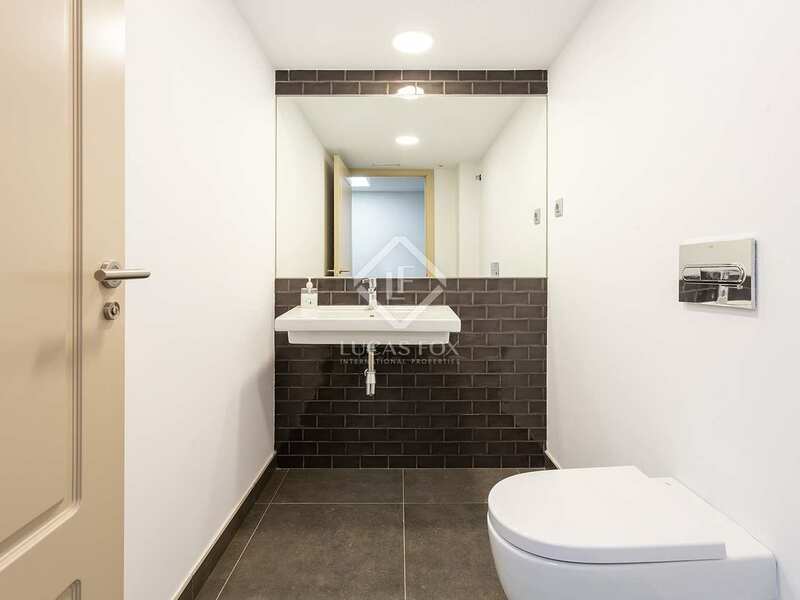 Finished to a very high standard, the property features built-in wardrobes, quality oak flooring with underfloor heating, air conditioning ducts, double glazed windows with automatic blinds and a video-entry phone, just to mention a few details. 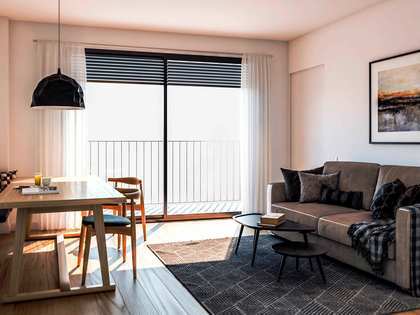 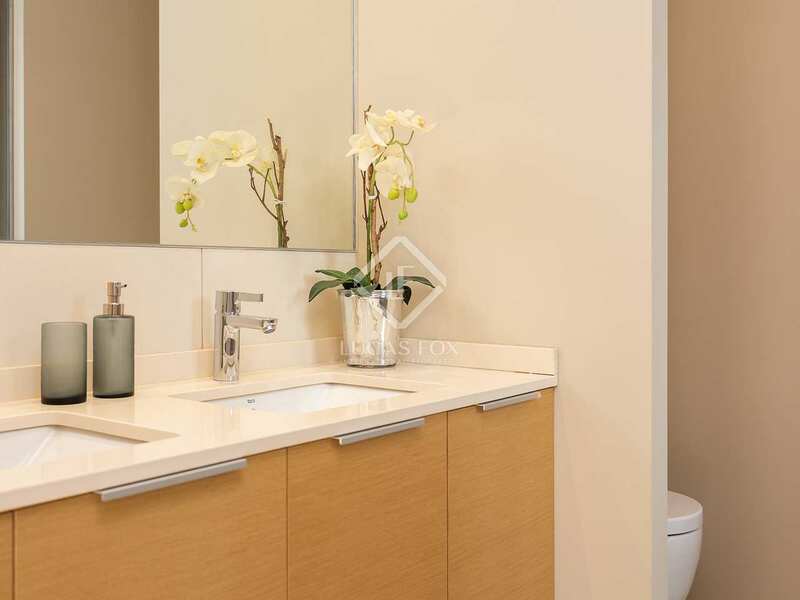 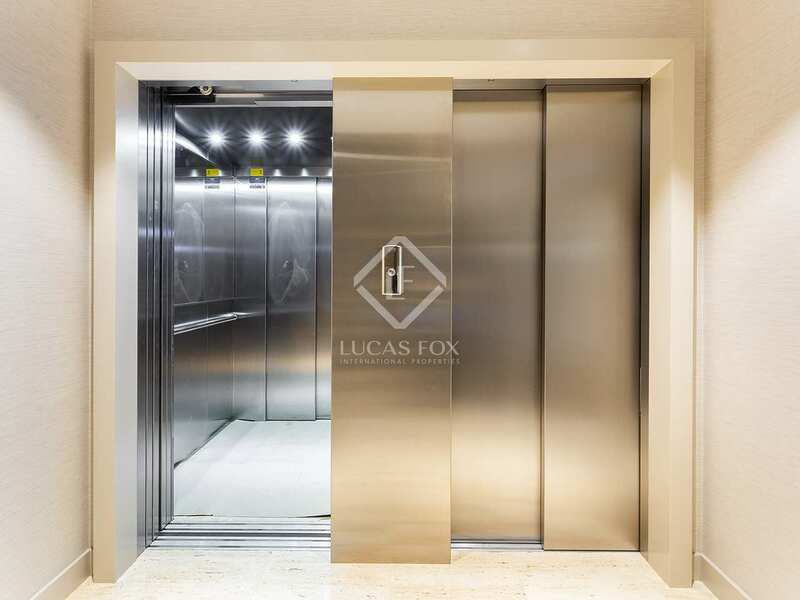 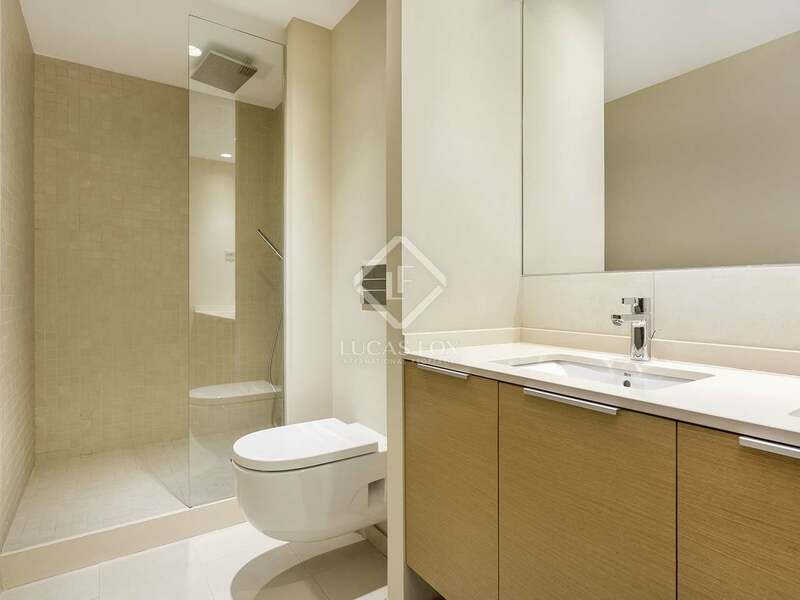 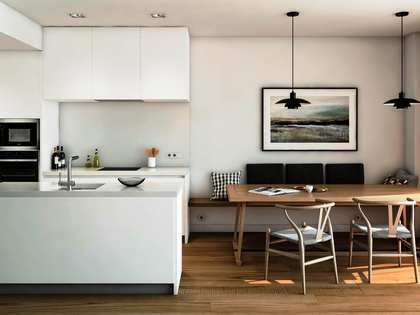 What's more, each property comes with its own convenient storage room included in the price, located on the lower ground level of the building. 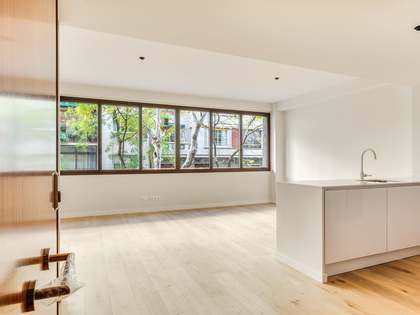 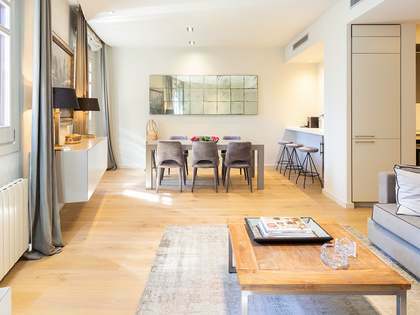 This newly refurbished high-end home would be ideal as a permanent residence or pied-a-terre property in an unbeatable Barcelona location.